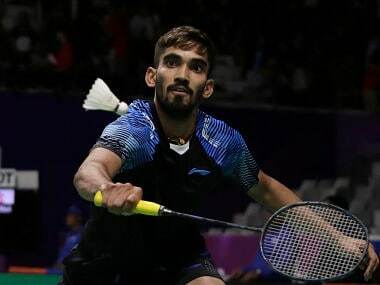 In the 'off-season' for badminton, some of the game's choicest players have descended upon India for the Premier Badminton League. On the eve of the tournament, in Mumbai, two of India's icons – Saina Nehwal and PV Sindhu—had again voiced their problems of a long, tiring 2018, when 12 mandatory tour events were made compulsory for the elite players. During the three-week league, while playing for their respective franchises, the players are paid handsomely, stay in five-star hotels, are shrouded by support staff and every detail and whim is taken care of. Sitting in a plush lobby of a luxury hotel in South Mumbai, Madhumita Bisht recalls a time when there was nothing and no one. 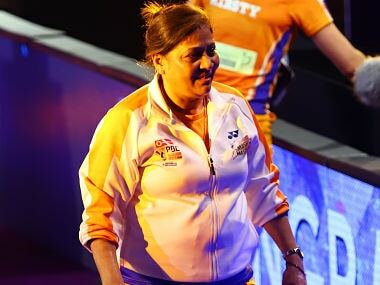 "After becoming a coach, I started travelling regularly and staying in five stars, seven stars; we started getting allowances for food etc," says Bisht, an eight-time women's singles champion and the only female coach in the nine-team PBL. "But we didn't have any of that as players." Born in 1964 in Jaipalguri, West Bengal, she picked up the game on outdoor mud courts in the city. In 1977, she was the sub-junior national champion and was employed by the Indian Railways at the tender age of only 13 years and seven months. "I am probably the youngest person in the world to get a government job!" she says. "One of the reasons I joined Railways was because they were paying 50 percent of my stay; the government used to give us airfare. We could travel for only two tournaments abroad in a year. That too, till we sat on the aircraft we didn't know whether we are cleared and are travelling or not. We had a coach (one coach for the entire Indian team), but no physiotherapist, no masseur, no imported shuttles." When Bisht, born Madhumita Goswami, was at the peak of her playing career, the Indian badminton federation was broke. Sponsors were non-existent. The players were left to fend for themselves for everything from training, facilities and gear. When the national championships did mean something and featured the best talents from far and wide in the country, Bisht won eight singles championships, nine doubles titles and was in the mixed doubles final an impressive 20 times, winning 12 of those. But the road never eased up. Fortunately for her, she had a kindred soul in Vikram Bisht, a fellow badminton player whom she married in 1983 at the age of 18. "My parents wanted me to get married because we were travelling together for tournaments," she says. They shared life, and experiences, and knowledge base and pooled in money to upgrade their badminton gear. "We used to play in Bata canvas shoes. Yonex racquets we used to get, but only the black ones. We would buy them abroad," she recalls. "Later, when we used to go out, we would buy shoes. During that time, Chinese shoes used to be smuggled in and would cost Rs 50. It was just canvas shoes but the grip was very good; there wasn't too much cushioning. We used to get it in black from Ghaffar Market (Delhi). We didn't have physios to strap us if we were injured. We would use that belladonna plaster: the white perforated ones. "Our racquets had hand-strung gut, and it used to be loose. We used hi-sheep gut because it would last longer. We didn't have money to keep buying strings. International players at the time used machine gutting, and the sound was just completely different. When they hit the shuttle it would be 'tung' and ours would sound like 'phut'. I used to get a complex. "After a lot of years, my husband bought a portable hand-gutting machine, that too from Paris. And it was about 200 pounds, which in the 1980s was a lot of money. I remember, the guy selling this machine saw my single solitaire nose-pin and wanted to trade that for the machine. But I didn't want to since it was a present from my in-laws. We paid those 200 pounds. In India, whenever we used to travel for tournaments, he used to help other players also by gutting racquets for them. "In the latter stages of our careers, we also used to buy shuttles from abroad and pay duty for them. We used them very sparingly. Sometimes we used to put the shuttles inside the fridge because Delhi weather gets very dry. And drier shuttles are more prone to breakage. Sometimes we used to keep the feathers dipped in water. If one feather was broken, then we used to break the feather on the exact opposite side to keep it balanced." Improvisation and innovation were the biggest virtues. Apart from top-class facilities, there was also a serious dearth of sports science. Bisht remembers experimenting, observing and then choreographing her own warm-up and cool-down routines. With very little help available, they had to think about every aspect of the game themselves. And Bisht believes they were better for it. "I feel, the youngsters are too dependent on coaches," says Bisht. "They don't analyse. They cannot, because they are spoon-fed. The older ones, who are in seniors are alright, they know what they have to do. 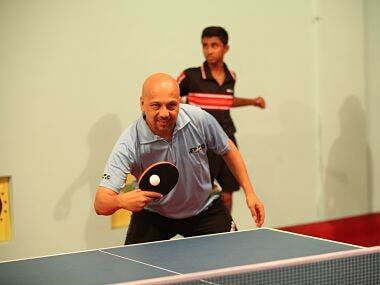 But the younger generation, I feel the coaches are not letting them grow." Bisht, who runs a badminton academy along with her husband in Delhi, was part of a trailblazing Indian women's team which won a bronze at the 1982 Asian Games in New Delhi. She also represented India at the 1992 Barcelona Olympics, the first time that badminton had featured in the quadrennial event. Having retired from the game in 2002, she came back to a much-improved national set-up in 2014 as a coach. "During our time there was no prize money," says Bisht, whose team Ahmedabad Smash Masters could have claimed Rs 6 crore if they had won the 2018 PBL title. "As prizes, we used to get bedsheets! But, no regrets. 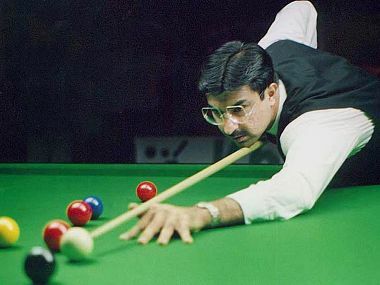 I didn't play for prizes or money, the title, the championship was important. People still remember me today for my achievements. "Sometimes I feel maybe if I was born in this era, I would have worked even harder with all the expertise and facilities around. Indian badminton is doing well now because everything is being looked after. They get to play so many tournaments now. I don't feel bad that we didn't get it, I am happy that the new generation is getting it and they are backing it up with results. Whatever little we could do, we did; we made the best of what we had."